What type of Las Vegas Guide are you looking for? 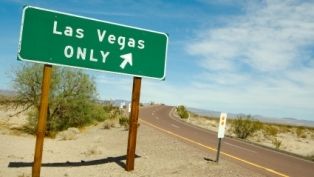 You may or may not be relocating to Las Vegas, maybe you just want to visit, find a great hotel, find some great things to do! I will give you all of the BEST local and non local guides and resources to fulfill your needs. If you are new to the city or visiting, why not give the local recommendations a try? After all, we are really spoiled with the very fast service, great food and we have some tips on insider events that you will not see advertised on the Strip. City of Las Vegas Population 603,093 - This is "City", we also have North Las Vegas and other areas right around the "City"
294 Days a year of sunshine! But this year 2008, the week of December 16th, we had about 8 inches of SNOW! that you can print out, covers demographics, climate, zip code map, post office locations,important phone numbers for the entire County, banking institutions, DMV information, voter registration, utility phone numbers and average monthly utility costs, employment information,job hotlines, how to obtain a sheriffs card, TAM card or health card to work in many casinos or food environments. Locals Voted and This is the "BEST of Las Vegas"
Guide to Amazing Las Vegas Discounts! Careful though, common lengthly visits to our great city can lead to a strong desire to relocate here! The opportunity here as well as the many events and activities make this a great place to visit and live! The parks and community events and support are endless. This is a wonderful place to be and there is always something to do. Schools, resources for jobs, living, churches, communities and more. Return to City of Las Vegas from "Las Vegas Guide".